All services are now operating as per the timetable. Apologies for any earlier inconvenience caused. This entry was posted in Uncategorized on September 26, 2017 by Victoria. This is for today (Tuesday 26th September 2017) only. Apologies for any inconvenience caused. The round-a-bout between Keynsham and Saltford is to be resurfaced and closed over the course of 3 nights. These being Monday 25th, Tuesday 26th, and Wednesday 27th September 2017. The closures will take place between 20:00 and 06:00 on all 3 nights. 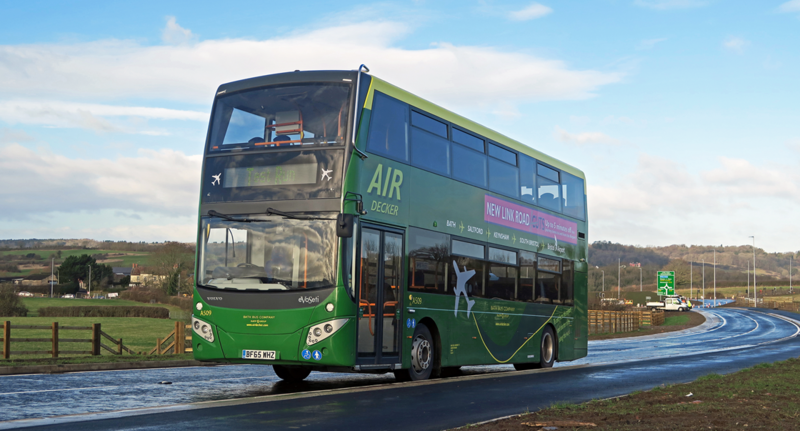 The Air Decker service will be diverting from the normal route due to the roadworks during the above dates. During the road closures, stops at Unity Road, The Talbot and the Memorial Park will not be served. Passengers are advised to make changes at Ellsbridge House. Bath Bus Company advises allowing extra time for your journeys throughout the road closures. This entry was posted in Uncategorized on September 22, 2017 by Connor Flavell. 12th September only – The 14:00hrs service from Bath to Bristol Airport has been cancelled from Newbridge Road onwards due to an RTA. The 15:30 hrs departure from Bristol Airport to Bath is also unable to operate. Apologies for any inconvenience caused. This entry was posted in Uncategorized on September 12, 2017 by Victoria.